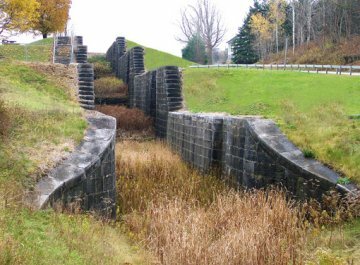 The canallers, lock tenders, and boat builders are long gone. 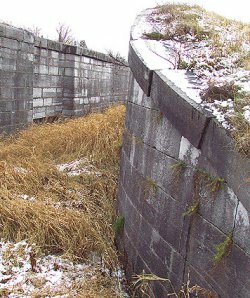 Memory of the canal era lives on, however, in the novels and short stories of native son Walter D. Edmonds. 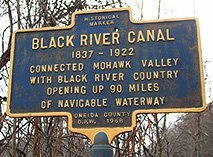 Though best known as the author of Drums Along the Mohawk, Edmonds also depicted the adventures of boatmen and ordinary working people in Rome Haul, Mostly Canallers, The Boyds of Black River, and other publications. 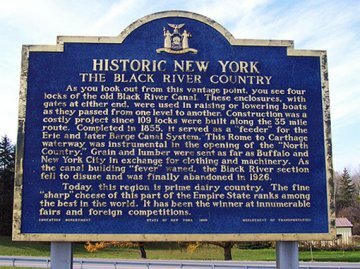 Memory of the canal era also lives on in civic consciousness. 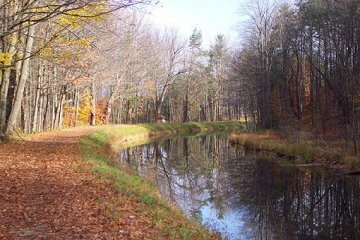 In recent years, local volunteer organizations have been working to preserve the canal as a scenic recreation area. 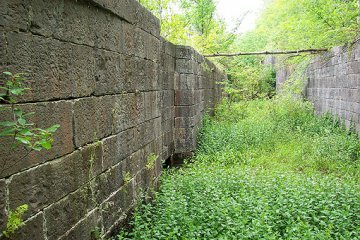 The towpath between Forestport and Boonville has been graded and paved with packed gravel to form a ten-mile long hike-and-bike trail in the summer and a snowmobile trail in the winter. 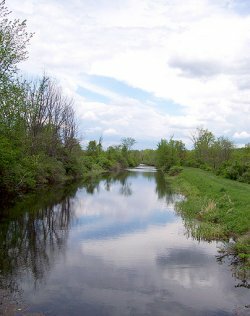 The feeder canal itself is available for canoeing and kayaking. Generations of children have learned to swim in the Erwin Park swimming pool. 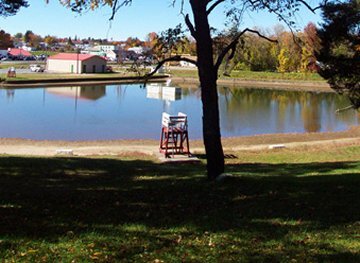 In 1932, the Village of Boonville converted the abandoned boat basin into a municipal swimming pool. 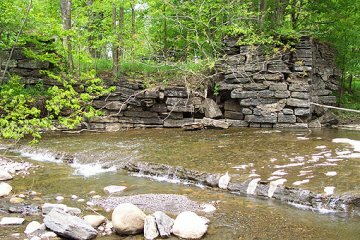 The pool continues to draw its water from Black River via the Eric Canal Feeder. 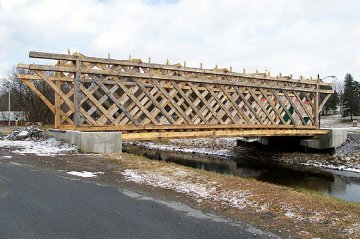 A handsome, new walkway extends along the Black River Canal south from the Main Street bridge. 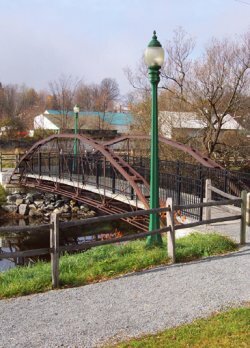 This walkway, lined with early 20th century street lights, features an original bowstring cast-iron truss bridge patented in 1841 by Squire Whipple of Utica. 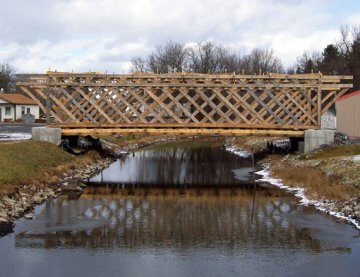 Although the Whipple design became the standard for the entire New York canal system, this bridge is only one of a handful still in existence. 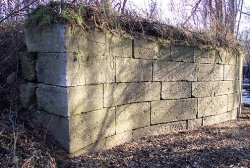 Boonville once had two bowstring bridges on the canal: one at Main Street and one at East Schuyler Street. 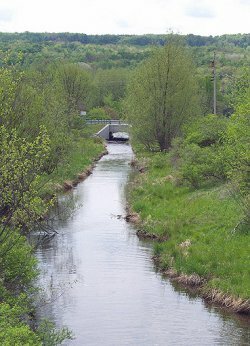 The citizens of Boonville have raised money to build a massive covered bridge across the Erie Canal feeder, connecting the towpath with Erwin Park to ensure a safe crossing for snowmobilers. 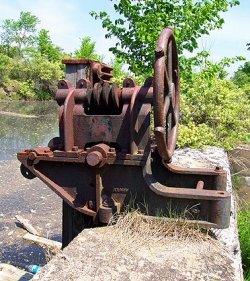 The waste-weir at Baker's Falls, two miles south of Boonville, still offers an impressive sight. 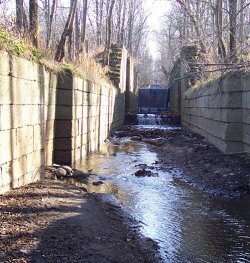 Water from the Black River Canal blends with the Lansing Kill at this location to form a stream that runs partially underground. 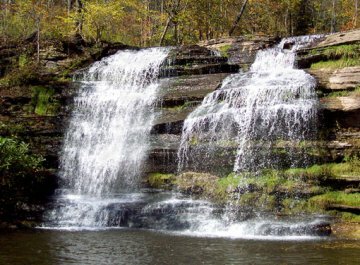 Six miles south of Boonville, the Lansing Kill cascades 50 feet at Pixley Falls. 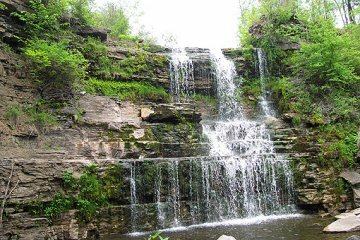 Formerly the site of Hurlbut's sawmill, Pixley Falls has been the centerpiece of a state park since 1932.
water into the Lansing Kill Feeder. 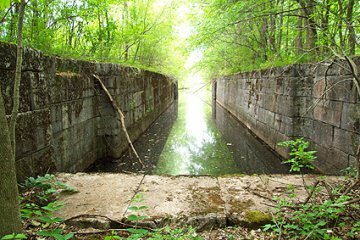 Many canal locks are still intact and may be visited on NY Route 46 (Rome to Boonville) and NY Route 12 (Boonville to Lyons Falls). 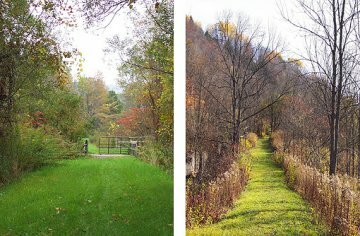 Lewis County has created a handsome roadside park at the four combines near Sugar River (Locks 87-90), 3 miles north of Boonville. 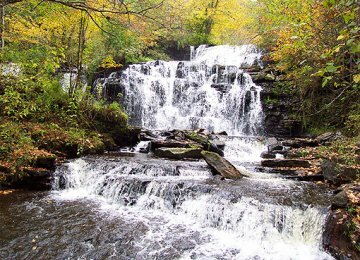 Kelpytown Road in Lyons Falls.